In 2018 the Spanish Global Compact Network has grown in terms of number of members. Thus, the Network has registered 661 entities, compared to 510 in 2017 and continues its positive trend with a growth of 29.6% in the number of members. 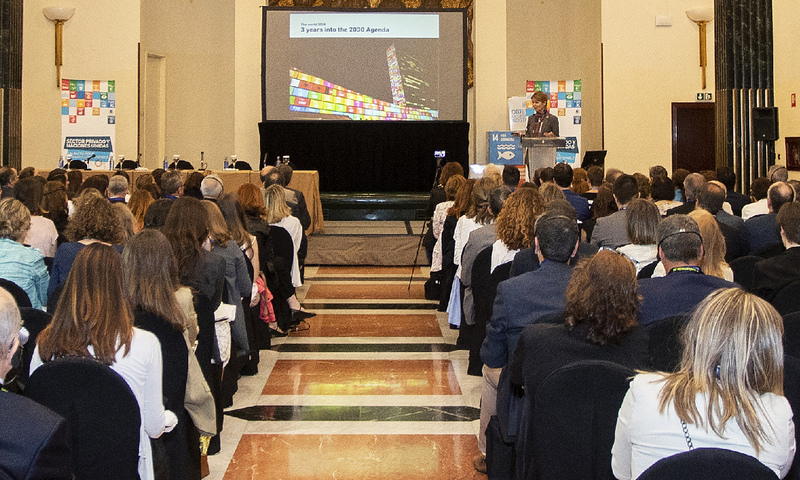 This rise, which highlights the interest of the Spanish private sector in those actions that promote the implementation of the Sustainable Development Goals (SDGs), has been produced thanks to the large companies, which have registered an increase of 54% over the previous year. On the other hand, SMEs (30%) and other entities (15%) have also experienced a rise in relation to 2017. According to the typology of members, 49% corresponds to SMEs, 37% to large companies and 14% to other entities. Ángel Pes, Chair at the Spanish Network, highlights the value that the initiative has acquired within the private sector. "We are very pleased with the increase of the number of companies that share the aim of the UN Global Compact for ethical management. In 2018 we have registered more than 150 new members, a fact that leads us to the creation of a transforming movement in our economy and in our business that contributes at national and international level to the SDGs". The Global Compact Principles continue to be very well received among the IBEX 35 companies (the main Stock Index). In fact, the number of members among the companies in this index has also increased until being 30 (26 of last year). These are: Acciona, Acerinox, AENA, Amadeus, Banco Sabadell, Bankia, Bankinter, BBVA, Caixabank, Cellnex, CIE Automotive, DIA, Enagás, Endesa, Ferrovial, Iberdrola, Iberia, Inditex, INDRA, MAPFRE, Mediaset, Melia Hotels, Naturgy, Red Eléctrica, Repsol, Santander, Siemens Gamesa, Técnicas Reunidas, Telefónica and Viscofan. As regard as the number of signatories, 2018 has ended with 1.508 organizations in Spain, of which the 23% correspond to large companies, 61% to SMEs and 16% to other entities. Contigo somos + is the program aimed at recognizing the proactivity of the influencing partners who spread the initiative among their stakeholders, attracting new members to the Spanish Global Compact Network. In order to be considered a "bronze" promoter it is necessary to attract between one and four members, to be "silver" between five and ten; and "gold" more than ten, an award which has not yet been raised in any entity. The new promoters of the initiative in 2018 have been 12: Abora Energy, Clece (Silver promoter), EDP España, Equipos Móviles de Campaña ARPA, Fundación Bequal, Funddatec, Gonvarri Corporación Financiera, GRI Renewable Industries, Grupo Agroamb, Obrascon Huarte Lain (OHL), Recilec and Vicinay Sestao. With these new incorporations, there are now 29 members who act as loudspeakers for the 10 Principles of the United Nations Global Compact through the initiative Contigo somos + of the Spanish Network.